How do I even begin to describe my love affair with La Sirena Clandestina? 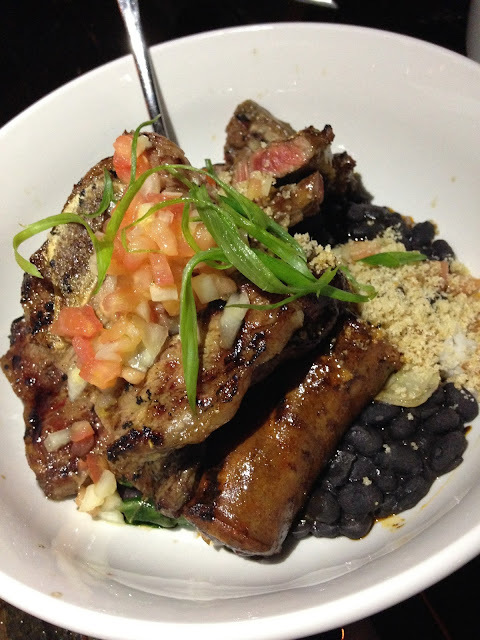 The Fulton Market Brazilian spot quickly became, dare I say it, my favorite restaurant in the city! I've dined in for brunch and dinner and both were fantastic. You know when you go to a restaurant and every dish and drink you order is perfection? Add to that a laidback vibe and friendly staff, and you have La Sirena. I stopped by on a Friday night with a group of friends and we had the best experience. 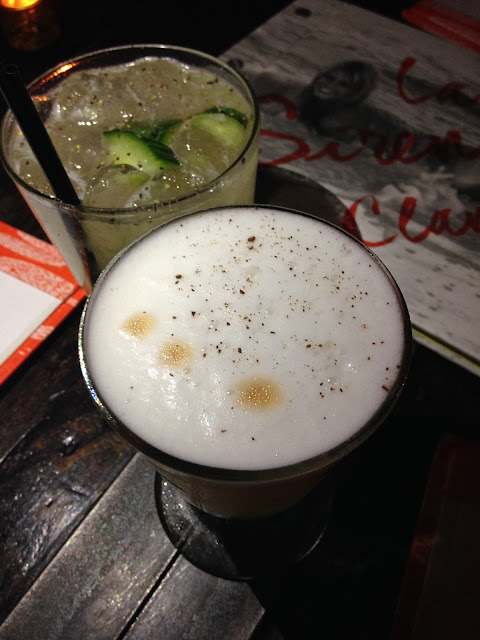 For starters, the cocktails are great--try a pisco sour or caipirinha! As far as food goes, the best course of action is to split several items and share with your party. 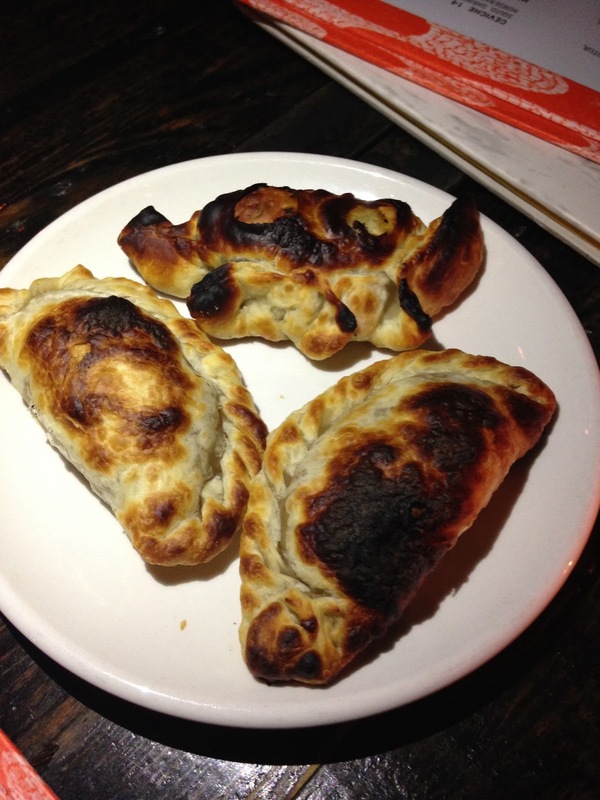 If you get one dish at La Sirena, it has to be the empanadas. 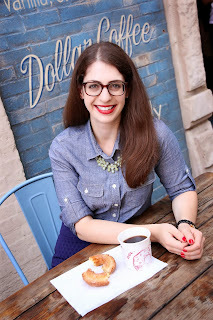 They get the dough imported from Argentina and the empanadas are always baked, never fried. The result is a flaky, slightly charred crust and doughy center. The fillings change frequently so you're guaranteed to get a little variety every time. 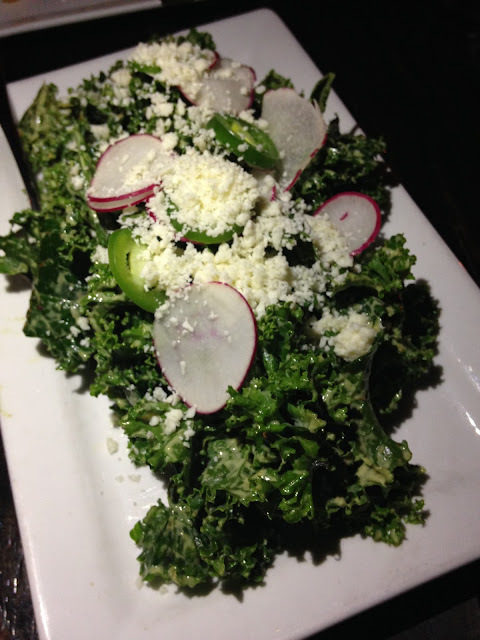 Another starter that is a personal favorite (and it's also available at lunch and weekend brunch) is the kale salad. I know, a kale salad at a Brazilian restaurant? Trust me. The kale is tossed in roasted poblano dressing with jalapenos and toasted pepitas and served with cotija on top. So flavorful! Another great starter is the fresh ceviche with octopus, shrimp, mahi, and seasonal veggies in gazpacho mojo. Two entree staples on La Sirena's menu include feijoada and moqueca. Feijoada is a traditional stew with black beans, short ribs, pork shoulder, linguica sausage, rice, farofa, greens and salsa. It's a hearty dish and one perfect for sharing. 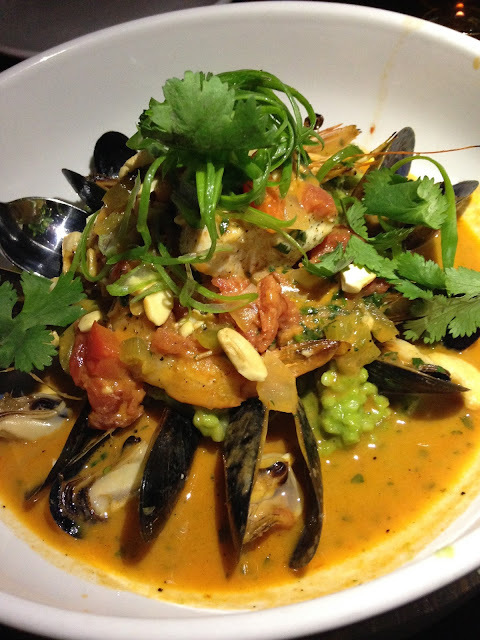 The moqueca is a seafood stew consisting of shrimp, mussels, and fish in a coconut broth with cashews and cilantro risotto. It's as delicious as it sounds! This was my favorite dish of the night! 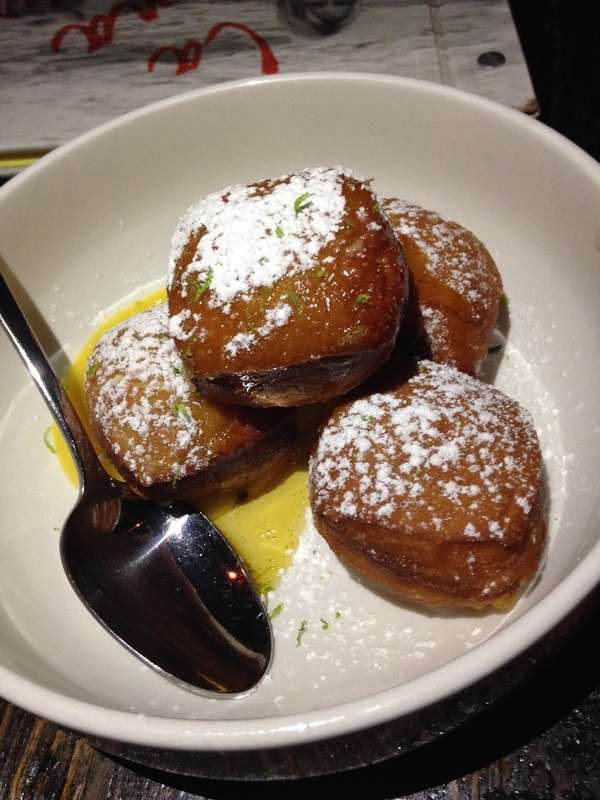 The desserts at La Sirena are definitely worth a try. We sampled the bolinhas de chuva which are beignets with apricot curd and rum caramel. Talk about yum! 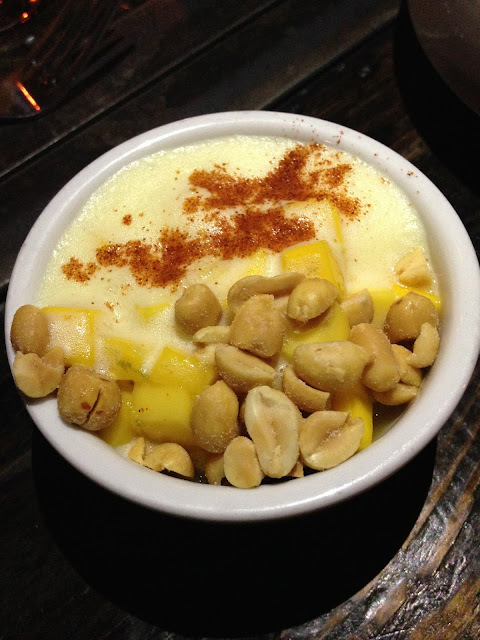 The second dessert we tried was truly unique: a champagne mango pudding with peanuts. It was so refreshing and had a great blend of textures and flavors. I love everything about La Sirena. The food, drinks, ambiance, and service all are spot on. Everything I ever eat there has so many layers of flavors and textures that I'm constantly impressed. It's a welcoming, unpretentious restaurant that I highly recommend to anyone. I'm giving La Sirena Clandestina 4.5 ghosts out of 5!